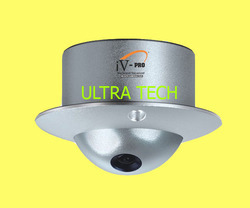 ULTRA-TECH SECURITY SOLUTIONS is the Authorized Distributor / Super Stockist - Supplier, Service Provider & Dealers for High Resolution HD , IP CCTV Surveillance Cameras & Allied Accessories of Leading Manufacturer of Cctv Cameras. This Product is used for Security, Evidence Gathering & Pilferage Prevention - Application . Which is Extensively & Widely used in Airports, Schools, Colleges , Hospitals, Apartments , Streets , Traffic Signals , Prisons, Customs, Banks, Police Department, Courtrooms, Public Building, industry etc. 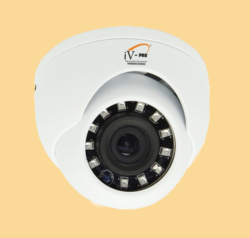 This iV-Pro Model : iV-D12M-Q2 is a Pro Mini Metal 2 Megapixel 1080p Full HD Security Camera with “ THE NEW GENERATION SONY IMX 323 HD IMAGE PROCESSING SOLUTION ” with optimized performance in day and night. 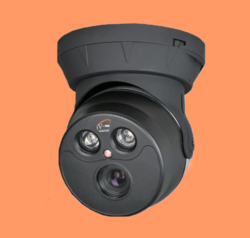 The Pro Series includes a wide range of high performance IR Array cameras that are built to deliver exceptional video images with true vivid colors and wide and clearer night vision, thanks to the new Array IR technology that promises better results and a longer life span over any 3+1 or a Coaxial cable including long distance transmission up to 500 meters using RG-59 cables. Mini Compact Metal structure design with rotation lock technology. 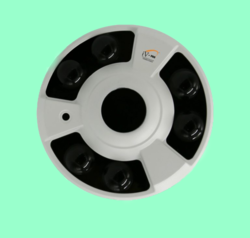 This iV-Pro Model : iV-DA6FH-Q2 is a Pro Metal 2 Megapixel 1080p Fish Eye 180 / 360 degree Full HD Security Camera with “ THE NEW GENERATION SONY IMX 323 HD IMAGE PROCESSING SOLUTION ” with optimized performance in day and night. The Pro Series includes a wide range of high performance IR Array cameras that are built to deliver exceptional video images with true vivid colors and wide and clearer night vision, thanks to the new Array IR technology that promises better results and a longer life span over any 3+1 or a Coaxial cable including long distance transmission up to 500 meters using RG-59 cables. Vandal Body structure design with cable management system. 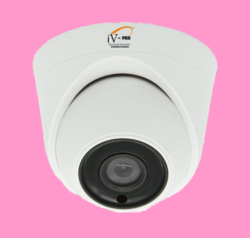 This iV-Pro Model : iV-D12W-Q2 is a Pro Mini 2 Megapixel 1080p Full HD Security Camera with “ THE NEW GENERATION SONY IMX 323 HD IMAGE PROCESSING SOLUTION” with optimized performance in day and night. The Pro Series includes a wide range of high performance IR Array cameras that are built to deliver exceptional video images with true vivid colors and wide and clearer night vision, thanks to the new Array IR technology that promises better results and a longer life span over any 3+1 or a Coaxial cable including long distance transmission up to 500 meters using RG-59 cables. Supports OSD Function with XVI technology for clarity Enhancement. Indoor multi-axis ceiling or wall mountable with 12V DC and BNC. Mini Compact High quality structure design for Indoor use only. 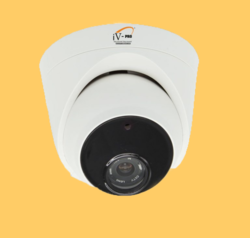 This iV-Pro Model : iV-DA2WK-Q2 is a Pro Vandal Metal 2 Megapixel 1080p Full HD Security Camera with “ THE NEW GENERATION SONY IMX 323 HD IMAGE PROCESSING SOLUTION “ with optimized performance in day and night. The Pro Series includes a wide range of high performance IR Array cameras that are built to deliver exceptional video images with true vivid colors and wide and clearer night vision, thanks to the new Array IR technology that promises better results and a longer life span over any 3+1 or a Coaxial cable including long distance transmission up to 500 meters using RG-59 cables. This iV-Pro Model : iV-DA2W-Q2 is a Pro 2 Megapixel 1080p Full HD Security Camera with “ THE NEW GENERATION SONY IMX 323 HD IMAGE PROCESSING SOLUTION” with optimized performance in day and night. The Pro Series includes a wide range of high performance IR Array cameras that are built to deliver exceptional video images with true vivid colors and wide and clearer night vision, thanks to the new Array IR technology that promises better results and a longer life span over any 3+1 or a Coaxial cable including long distance transmission up to 500 meters using RG-59 cables. Compact High quality structure design with new black array glass. 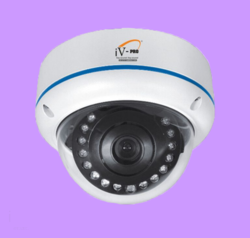 This iV-Pro Model : iV-DA2BK-Q2 is a Pro Metal 2 Megapixel 1080p Full HD Security Camera with “ THE NEW GENERATION SONY IMX 323 HD IMAGE PROCESSING SOLUTION “ with optimized performance in day and night. The Pro Series includes a wide range of high performance IR Array cameras that are built to deliver exceptional video images with true vivid colors and wide and clearer night vision, thanks to the new Array IR technology that promises better results and a longer life span over any 3+1 or a Coaxial cable including long distance transmission up to 500 meters using RG-59 cables. 2 Megapixel 1080p Full HD Resolution & High Power Array up to 30 Meters. 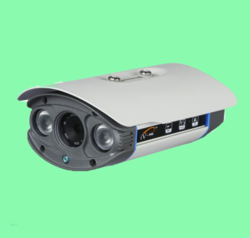 Smart Night Vision High Power Dual Array II LED Technology. Flexible choice of 3MP CS Ultra lens from 4.0mm, 6mm and 8.0mm. Smart Array IR technology provides even distribution of IR light. Plug and Play Compatible with iV-Pro’s range of TVR, QVR and XVR. MODEL :: iV- D21VW - Q2 - 2 MP. This iV-Pro Model : iV-D21VW-Q2 is a Pro Vandal Metal 2 Megapixel 1080p Full HD Security Camera with “THE NEW GENERATION SONY IMX 323 HD IMAGE PROCESSING SOLUTION” with optimized performance in day and night. The Pro Series includes a wide range of high performance IR Array cameras that are built to deliver exceptional video images with true vivid colors and wide and clearer night vision, thanks to the new Array IR technology that promises better results and a longer life span over any 3+1 or a Coaxial cable including long distance transmission up to 500 meters using RG-59 cables. Vandal Body structure design with unbreakable Vandalized glass. This iV-Pro Model : iV-CA4W-Q2 is a Pro Metal Outdoor 2 Megapixel 1080p Full HD Security Camera with “ THE NEW GENERATION SONY IMX 323 HD IMAGE PROCESSING SOLUTION” with optimized performance in day and night. The Pro Series includes a wide range of high performance IR Array cameras that are built to deliver exceptional video images with true vivid colors and wide and clearer night vision, thanks to the new Array IR technology that promises better results and a longer life span over any 3+1 or a Coaxial cable including long distance transmission up to 500 meters using RG-59 cables. Exclusive new designed IP66 weather and water proof metal casing. 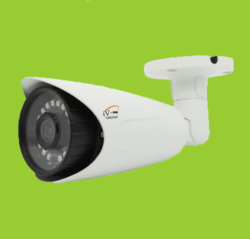 This iV-Pro Model : iV-CA6W-Q2 is a Pro Metal Outdoor 2 Megapixel 1080p Full HD Security Camera with “ THE NEW GENERATION SONY IMX 323 HD IMAGE PROCESSING SOLUTION “ with optimized performance in day and night. The Pro Series includes a wide range of high performance IR Array cameras that are built to deliver exceptional video images with true vivid colors and wide and clearer night vision, thanks to the new Array IR technology that promises better results and a longer life span over any 3+1 or a Coaxial cable including long distance transmission up to 500 meters using RG-59 cables. 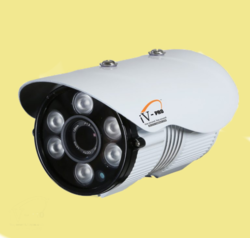 This iV-Pro Model : iV-CA1FH-Q2 is a Pro Metal Outdoor 2 Megapixel 1080p Full HD Security Camera with “THE NEW GENERATION SONY IMX 323 IMAGE PROCESSING SOLUTION” with optimized performance in day and night. The Pro Series includes a wide range of high performance IR Array cameras that are built to deliver exceptional video images with true vivid colors and wide and clearer night vision, thanks to the new Array IR technology that promises better results and a longer life span over any 3+1 or a Coaxial cable including long distance transmission up to 500 meters using RG-59 cables. 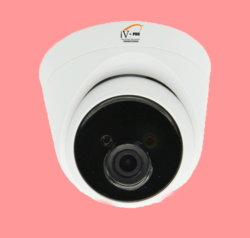 We Are The Leading Manufacturer And Suppliers of this CA1FH – Q2 – 2 Megapixel Camera in South India Such As Thiruvallur, Chennai, Kancheepuram, Vellore, Thiruvannamalai, Krishnagiri, Dharamapuri, Villipuram, Cuddalore, Salem, Erode, Namakal, Perambalur, Nilgiris, Coimbatore, Tiruppur, Karur, Tiruchchirapalli, Ariyalur, Nagapattinam, Thanjavur, Thiruvarur, Nagapattinam, Pudukkotai, Dindigul, Theni, Madurai, Sivagangai, Ramanathapuram, Virudunagar, Tirunelveli, Thoothukudi, Kanniyakumari, Hosur, Rajapalayam, Puduchcheri, Kerala. 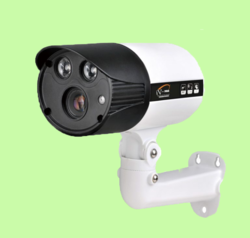 This iV-Pro Model : iV-CA2FH-Q2 is a Pro Metal Outdoor 2 Megapixel 1080p Full HD Security Camera with “THE NEW GENERATION SONY IMX 323 HD IMAGE PROCESSING SOLUTION “ with optimized performance in day and night. The Pro Series includes a wide range of high performance IR Array cameras that are built to deliver exceptional video images with true vivid colors and wide and clearer night vision, thanks to the new Array IR technology that promises better results and a longer life span over any 3+1 or a Coaxial cable including long distance transmission up to 500 meters using RG-59 cables. Outdoor multi-axis ceiling or wall mountable with 12V DC and BNC. 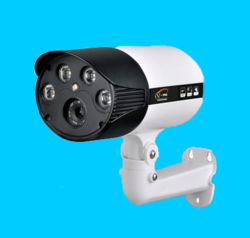 This iV-Pro Model : iV-CA2BWK-Q2 is a Pro Metal Outdoor 2 Megapixel 1080p Full HD Security Camera with “THE NEW GENERATION SONY IMX 323 HD IMAGE PROCESSING SOLUTION “ with optimized performance in day and night. The Pro Series includes a wide range of high performance IR Array cameras that are built to deliver exceptional video images with true vivid colors and wide and clearer night vision, thanks to the new Array IR technology that promises better results and a longer life span over any 3+1 or a Coaxial cable including long distance transmission up to 500 meters using RG-59 cables. Premium designed IP67 weather, temperature & waterproof casing. 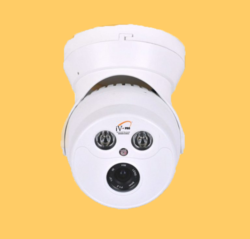 We Are The Leading Manufacturer And Suppliers of this CA2BWK – Q2 – 2 Megapixel Camera White in South India Such As Thiruvallur, Chennai, Kancheepuram, Vellore, Thiruvannamalai, Krishnagiri, Dharamapuri, Villipuram, Cuddalore, Salem, Erode, Namakal, Perambalur, Nilgiris, Coimbatore, Tiruppur, Karur, Tiruchchirapalli, Ariyalur, Nagapattinam, Thanjavur, Thiruvarur, Nagapattinam, Pudukkotai, Dindigul, Theni, Madurai, Sivagangai, Ramanathapuram, Virudunagar, Tirunelveli, Thoothukudi, Kanniyakumari, Hosur, Rajapalayam, Puduchcheri, Kerala. This iV-Pro Model : iV-CA4BWK-Q2 is a Pro Metal Outdoor 2 Megapixel 1080p Full HD Security Camera with “THE NEW GENERATION SONY IMX 323 HD IMAGE PROCESSING SOLUTION” with optimized performance in day and night. The Pro Series includes a wide range of high performance IR Array cameras that are built to deliver exceptional video images with true vivid colors and wide and clearer night vision, thanks to the new Array IR technology that promises better results and a longer life span over any 3+1 or a Coaxial cable including long distance transmission up to 500 meters using RG-59 cables. This iV-Pro Model : iV-C18W-Q2 is a Pro Metal Outdoor 2 Megapixel 1080p Full HD Security Camera with “THE NEW GENERATION SONY IMX 323 HD IMAGE PROCESSING SOLUTION” with optimized performance in day and night. The Pro Series includes a wide range of high performance IR Array cameras that are built to deliver exceptional video images with true vivid colors and wide and clearer night vision, thanks to the new Array IR technology that promises better results and a longer life span over any 3+1 or a Coaxial cable including long distance transmission up to 500 meters using RG-59 cables. Excellent low-light performance with the new 2D/3D noise reduction. Flexible choice of 3MP lens from 3.6mm, 4.0mm and 6.0mm. 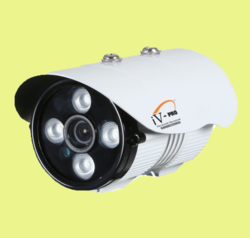 We Are The Leading Manufacturer And Suppliers of this iV – C18W- Q2 - 2 Megapixel Camera in South India Such As Thiruvallur, Chennai, Kancheepuram, Vellore, Thiruvannamalai, Krishnagiri, Dharamapuri, Villipuram, Cuddalore, Salem, Erode, Namakal, Perambalur, Nilgiris, Coimbatore, Tiruppur, Karur, Tiruchchirapalli, Ariyalur, Nagapattinam, Thanjavur, Thiruvarur, Nagapattinam, Pudukkotai, Dindigul, Theni, Madurai, Sivagangai, Ramanathapuram, Virudunagar, Tirunelveli, Thoothukudi, Kanniyakumari, Hosur, Rajapalayam, Puduchcheri, Kerala. This iV-Pro Model : iV-DA1W-Q2 is a Pro 2 Megapixel 1080p Full HD Security Camera with “THE NEW GENERATION SONY IMX 323 HD IMAGE PROCESSING SOLUTION” with optimized performance in day and night. The Pro Series includes a wide range of high performance IR Array cameras that are built to deliver exceptional video images with true vivid colors and wide and clearer night vision, thanks to the new Array IR technology that promises better results and a longer life span over any 3+1 or a Coaxial cable including long distance transmission up to 500 meters using RG-59 cables. Excellent low-light Performance with the new 2D / 3D nise Reduction. 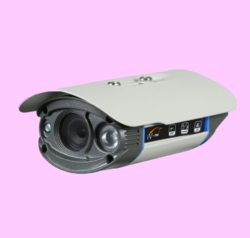 Looking for CCTV CAMERA - 2.0 MEGAPIXEL ?